Instagram will now be counted among those social networks that empower the users to schedule their posts ahead of time. 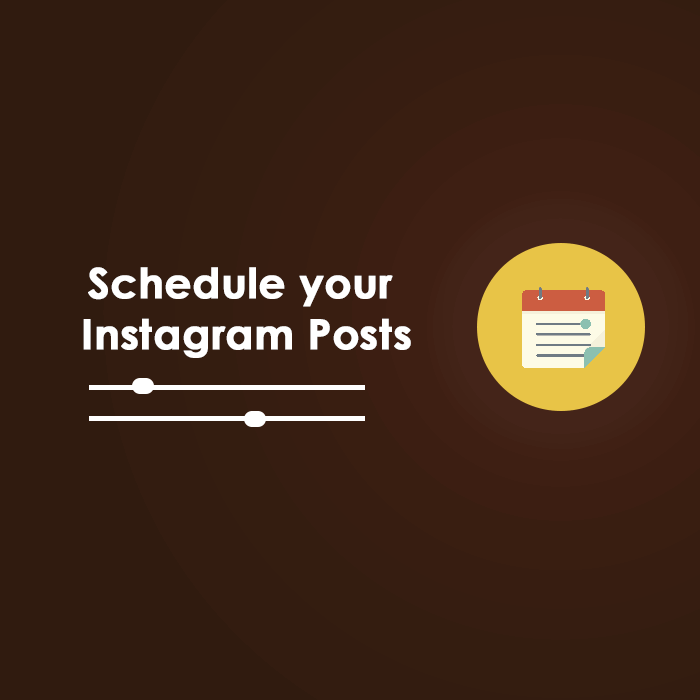 minor change, you are not allowed to do it directly on Instagram App, rather you have to schedule the post through Instagram’s Partners like Hootsuite, Sprinklr and Sprout Social. After this announcement, Business profiles and influencers would be able to schedule posts in time, whereas currently, this option is available on images and not videos with the involvement of the third party i.e. management tools. Hence, if you wish to avail this feature you have to pay subscription cost of the service. To post your schedule before time was not available until now. Although management tools tried to put efforts in this regard through advertisements. Earlier the user could only write post captions and would get push notifications to post them in time. Now, Instagram has enabled business profiles to schedule their posts, for regular users the feature will be available by early 2019 according to the announcement of Instagram. Apart from that, updates for Instagram Graph API include Business discovery, which means the users can view profile details of other businesses, such as their mentions, posts in which they have been tagged in. Schedule post feature has been appreciated by most social media managers, also people are afraid about the depreciation of quality due to increase in the number of posts. According to experienced Social media managers, this addition will definitely make things more manageable but the time users spend on Instagram will reduce, which would also decrease the amount of time users spend on the network to interact with others. This would reduce meaningful communications and connection building within the network, which isn’t a good news. This feature was expected from Instagram as it has always encouraged sharing of photos and videos, plus have been updating feature according to the changes in other social networks. For instance, Snapchat has now decided to remove ugly white borders, around the photos posted from the camera roll. But unlike Snapchat, Instagram allowed stories that are older than 24 hours, which indicates that social networks are now moving away from real-time sharing. However, the fact that if users keep on posting such stories, social networks will keep on encouraging them more, it all depends on what users are interested in. Basically, Facebook being the parent company should get constant share prompts from users side, till the time users are posting updates, they will not feel the need to make any changes. The reason why Instagram has to take up such initiative of adding schedule post feature is the shortage of time that users need to devote to daily posts. It’s an addition to their convenience and will help them gather data about the audience response and allows them to monitor all posts in one place. To manage multiple accounts on different networks or multiple accounts on a single network, using a management tool would increase the output and will help you concentrate more on the responses. Replying and acknowledging to those who reacted to your posts would be easier.